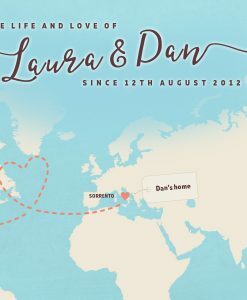 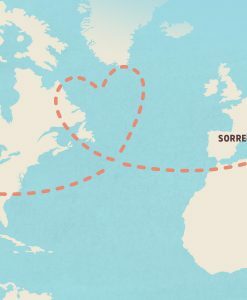 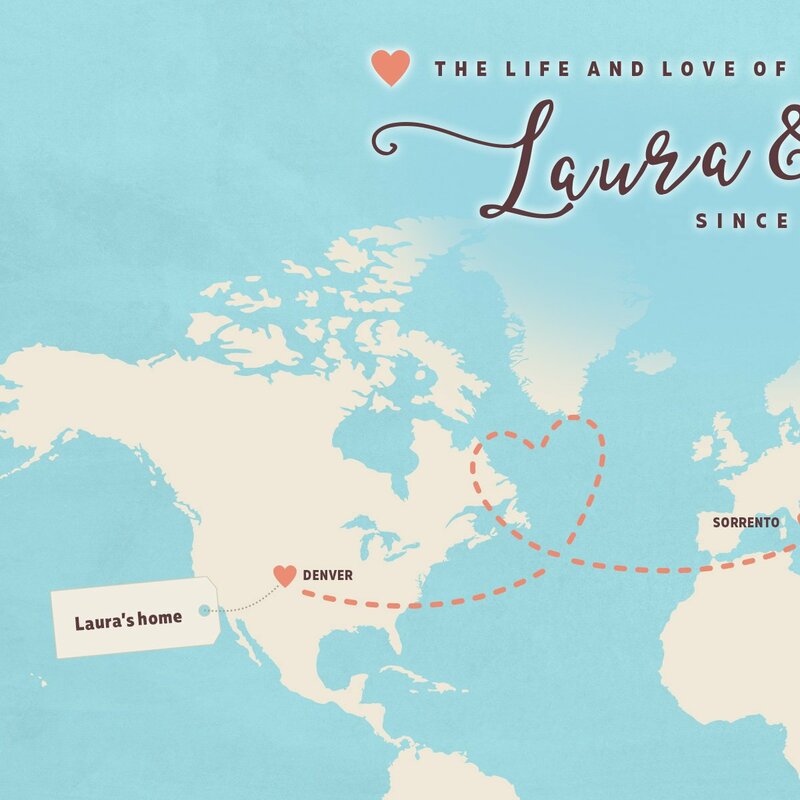 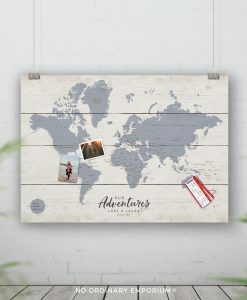 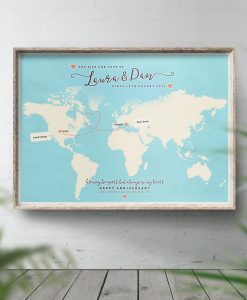 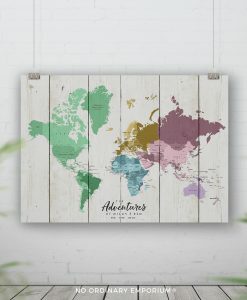 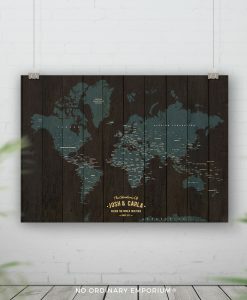 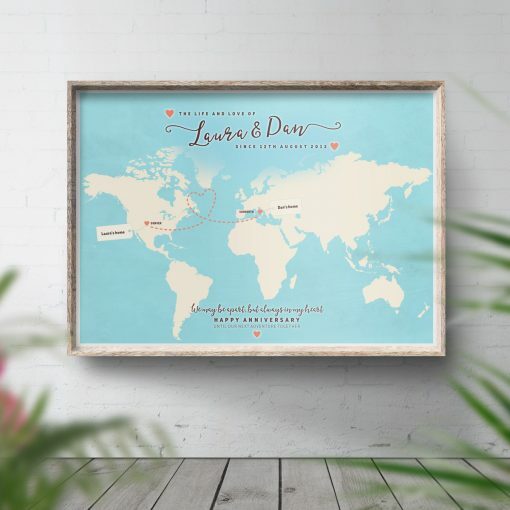 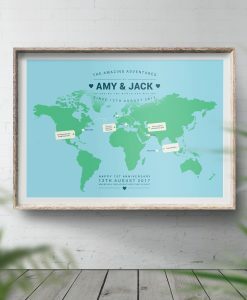 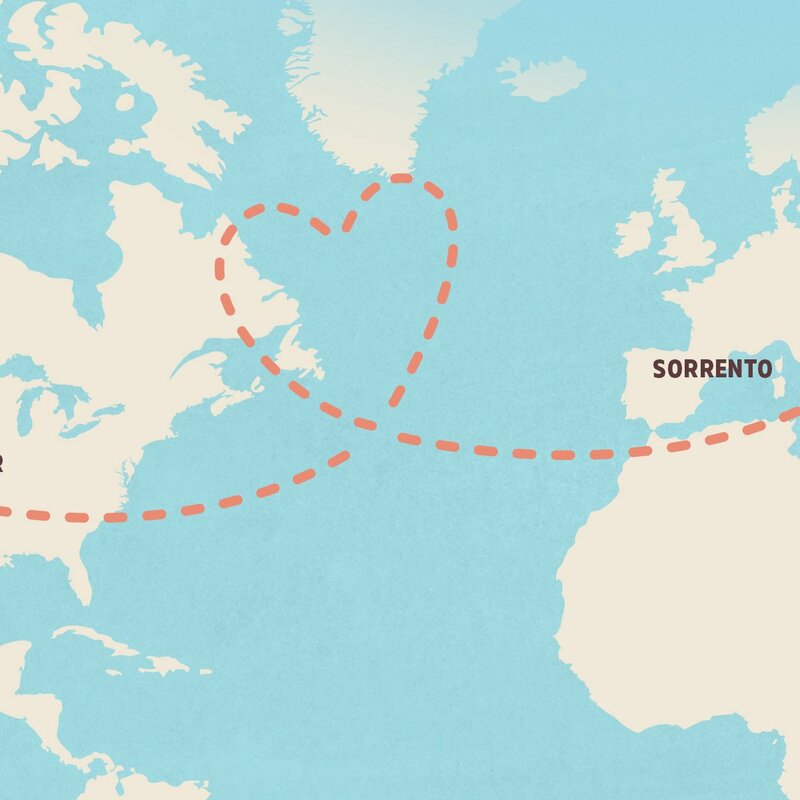 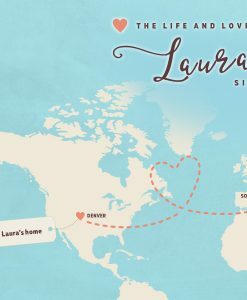 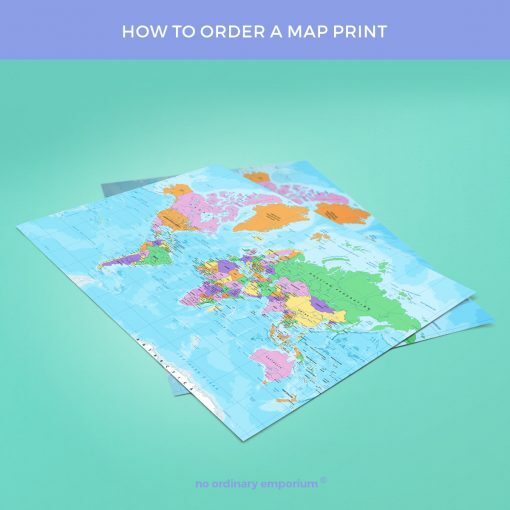 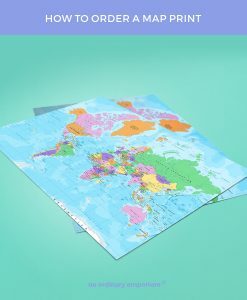 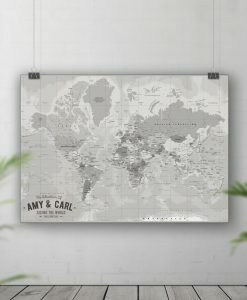 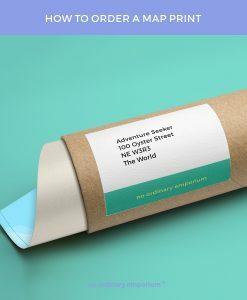 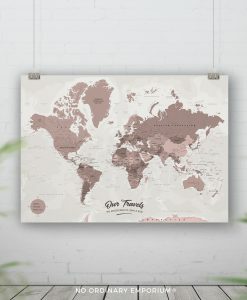 A digitally illustrated Personalised World Travel Map that includes your choice of personalised text, your favourite places, cities or countries. We create the digital illustration and then print onto heavy weight photo paper. 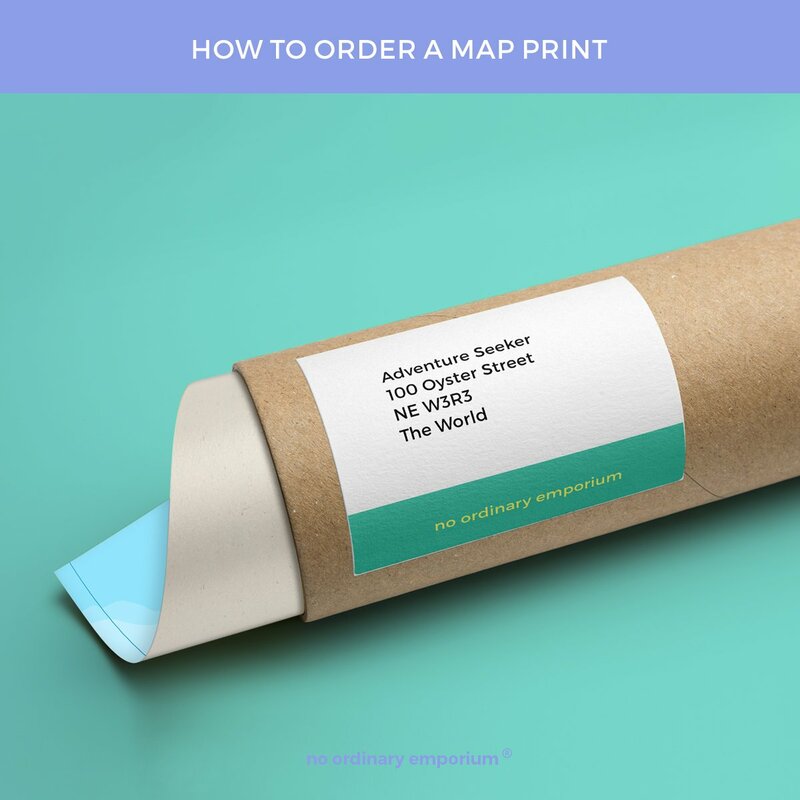 □ The paper finish I would like is: (Gloss or Satin) – This does not apply to the digital file option.